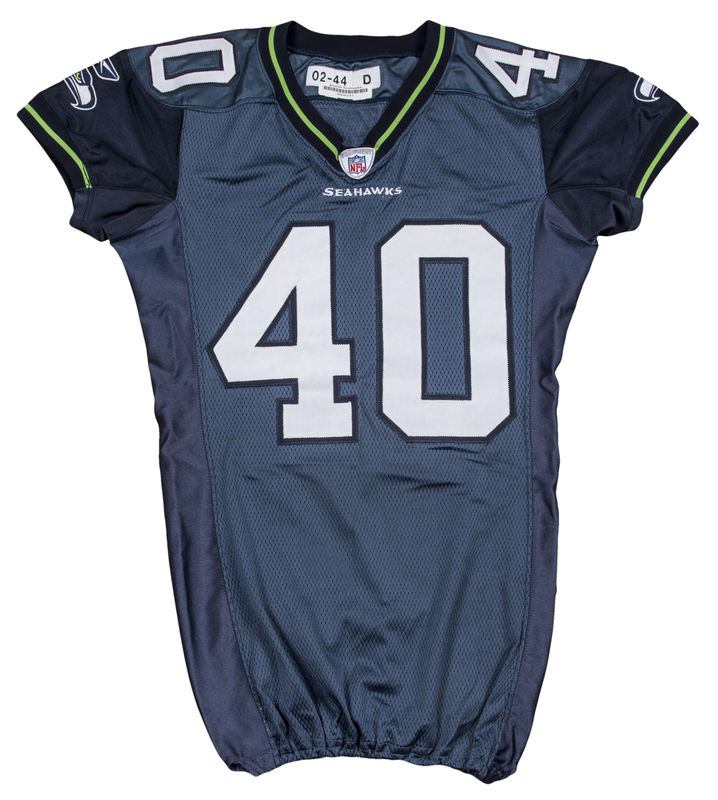 Seattle Seahawks defensive back Michael Harden was issued this blue Seahawks home jersey in 2005. 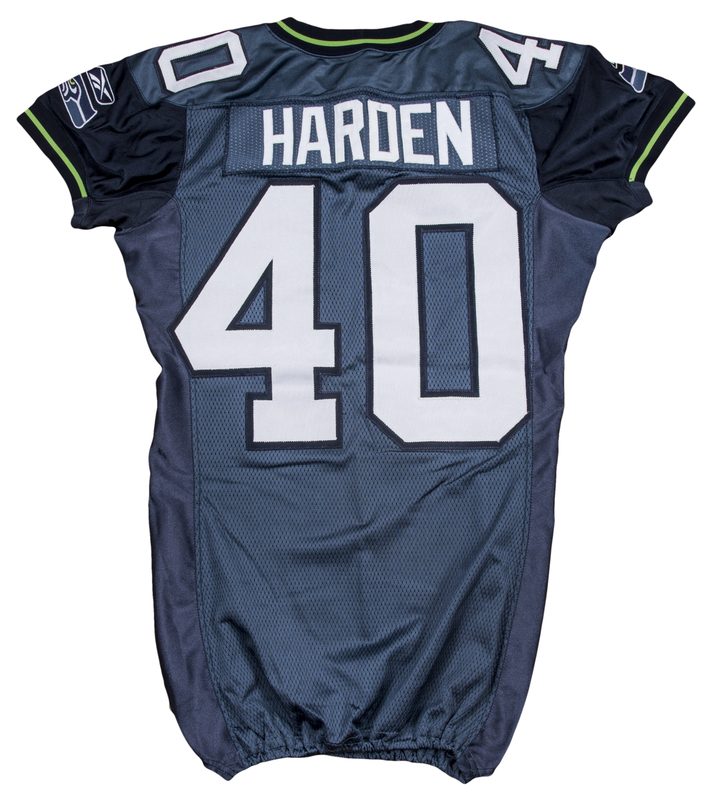 Harden, a former University of Missouri standout, appeared in four games in 2005, recording seven tackles and a forced fumble as the Seahawks won the NFC championship and appeared in the franchise’s first Super Bowl. 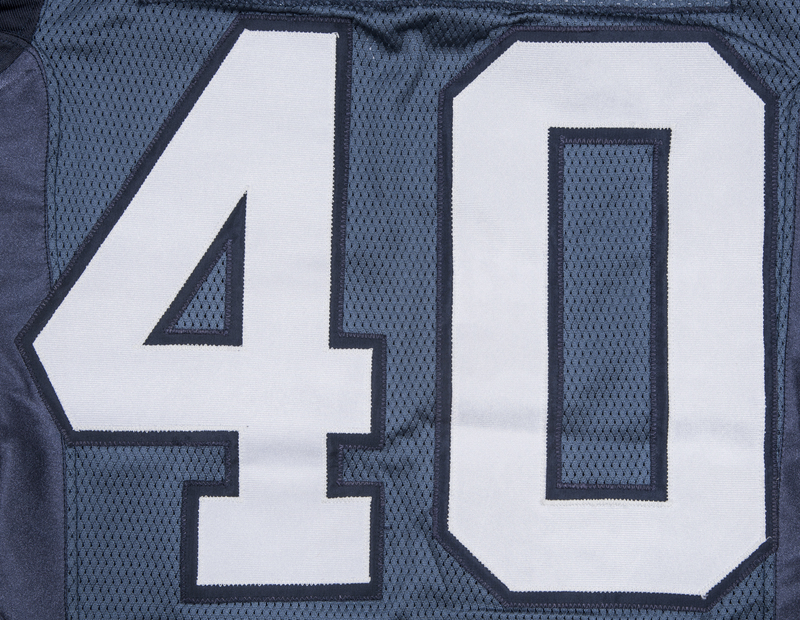 This blue Seahawks home jersey has Harden’s number “40” sewn on the chest, back, and shoulders in white and navy tackle twill. “HARDEN” is sewn across the back shoulders in white tackle twill over a matching teal nameplate. Seahawks logo patches and Reebok logo patches are sewn on each sleeve. 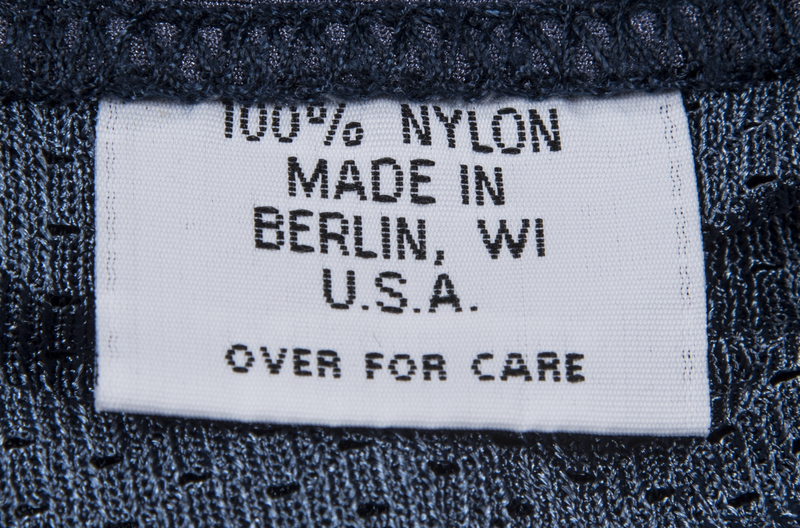 A NFL logo is sewn on the collar, while “SEAHAWKS” is sewn on the chest in white lettering. 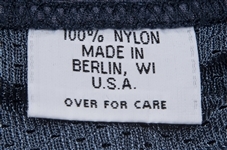 An “02-44 D” tag is sewn on the back inside collar. 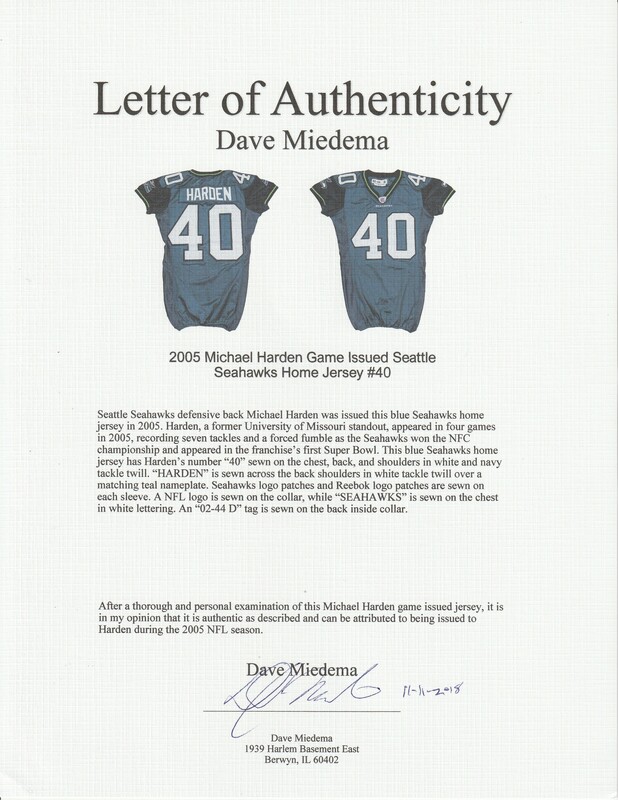 This jersey comes with a LOA from noted game used jersey expert Dave Miedema.